Nafshenu, one of Toronto’s premiere bands lead by drummer David Kerzner, is well known for its eclectic style and lively yet tasteful spirit. Nafshenu has been performing for decades to audiences for weddings and concerts of all types and has succeeded in touching the souls of people from the entire Jewish spectrum. Each musician brings forth his own unique style and influences, creating the beautiful tapestry of harmony and emotion that is the Nafshenu sound. Recently, the band released a dynamic new album entitled “Nafshenu Fusion“. On this brand new recording the band revisits the music ofReb Shlomo Carlbach, who was known throughout the world for his simple, yet heartfelt and gorgeous melodies that spoke to the people of all ages, genders and religious levels. To this day, his music touches those of all sects of Judaism. Nafshenu features the outstanding talent of Shlomo Simcha, who is known across the globe for his vocal talent and ability to uplift people everywhere, and Gabi Shull who has recently joined the group and is quickly becoming a favorite amongst Toronto’s audiences. Please enjoy the following video off this new album for Reb Shlomo’s hit song Hiney Kel from havdala. 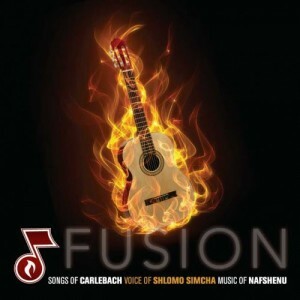 To download Nafshenu Fusion on iTunes click HERE.